Freddy Bear and Anna Fox’s date. Wait! There aren’t any cars or islands yet! And here comes the wedding. An ordinary wedding actually. As usually, a beautiful bride. As usually, a handsome bridegroom. As usually, the cake is cut. No fights, no deaths. Boring! Because of Teddy’s and Freddy’s weddings no one noticed how Lilly grew up. At first she was upset that she didn’t get a birthday cake. But after Andy asked her out on a date, she forgets all the troubles. 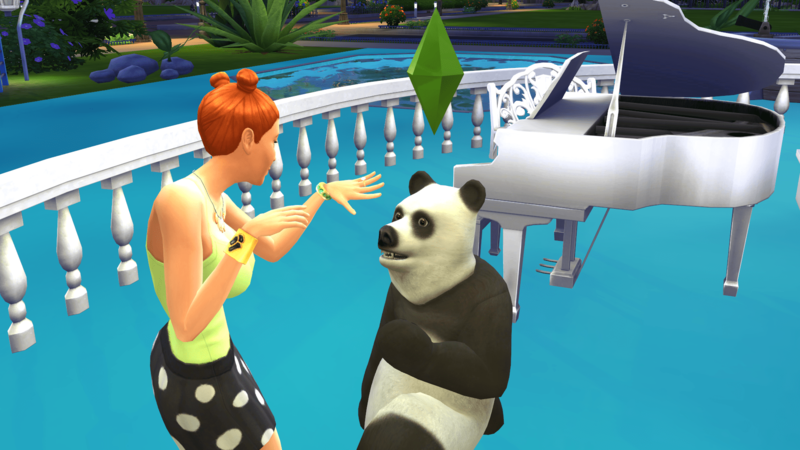 Posted on May 5, 2016 by chealsycatPosted in Goldilocks and Bears (Sim fairy tale)Tagged #Goldilocks and Bears, #Sims 4, bears, Goldilocks, Sims. I’m looking forward to islands (and cars) too!